WE’VE got another top competition for you this weekend, with a fantastic prize up for grabs. Thanks to our friends at Shakespeare, we have a brand new Omni Margin Pole to give away to one lucky Angler’s Mail fan. The great strength of this 7.5m carbon pole will be suited to catching the big carp often found in the margins or close to features. 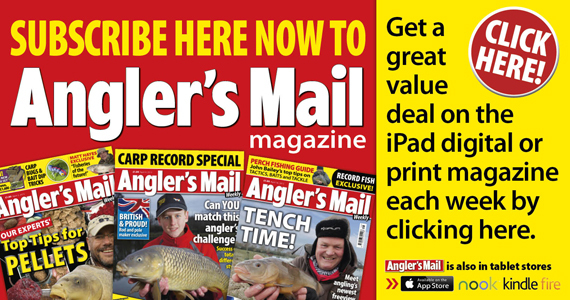 To enter, all you need to do is first ‘like’ both the Angler’s Mail Magazine Facebook Page and Shakespeare Facebook Page. What species of fish is seen in the main picture on the front of this week’s issue of Angler’s Mail?